Getting a college education is a necessity for success in many career paths, but the high costs of tuition, student loan debt or an uncertainty over what to major in can lead prospective students to have second thoughts about attending a four-year university. Two-year schools, however, can be an affordable and accessible option for anyone looking to further their education. For example, the average tuition to attend a public four-year college in New Hampshire for the 2014-15 school year was $14,712, while for a public two-year school, students paid just $6,500, according to the College Board. The lower prices, smaller class sizes and chance to fulfill most prerequisites required for undergrad work can make community college a valuable stepping stone to success in today's world. While it's always impressive and inspiring to hear stories of a self-made celebrities who carved out their fortunes without a college degree to their names, you might be surprised to see the 20 millionaires that landed on this list by attending community college before going on to find fame and fortune. Net worths are sourced from CelebrityNetWorth.com unless otherwise noted. Sarah Palin, former Republican vice presidential candidate and former governor of Alaska, actually attended five different schools during her academic years, including two community colleges. According to Slate, Palin was a student of both North Idaho College and Matanuska-Susitna College in Alaska. Palin later graduated in 1987 from the University of Idaho with an undergraduate degree in journalism. Today Sarah Palin is worth an estimated $12 million. Clint Eastwood, who recently turned 85 years old, can look back on a long career of Academy Awards and hight status as one of Hollywood's most famous actors, directors and richest stars (his net worth is $375 million). But if Eastwood had finished school, he might have made a name for himself on Wall Street instead of in Tinseltown. In the early 1950s, Eastwood was a student at Los Angeles City College as a business major, where he attended on the G.I. Bill, reports Turner Classic Movies. He never graduated, but within a decade Eastwood became a bankable, up-and-coming Western star. An Academy Award winner and friend to Eastwood, Morgan Freeman is also a former student at Los Angeles City College, reports IMDB. Between college and the start of his legendary acting career, Freeman served as a mechanic in the U.S. Air Force (1955 to 1959). Despite never completing a college degree, Freeman's successful career still earned him a couple of honorary degrees including a Doctor of Humane Letters granted by Boston University in 2013, plus an impressive net worth of $150 million. His lack of a college degree didn't stop the late Steve Jobs from co-founding Apple and constructing a legacy in the tech world that won't be forgotten (and amassed him a fortune worth $10.2 billion at the time of his passing in October 2011). Jobs is known for abruptly dropping out from the exclusive Reed College in Oregon, but he also briefly attended De Anza Community College in Cupertino, Calif. for two semesters in 1970, reports the California Community Colleges Chancellor's Office (CCCCO). 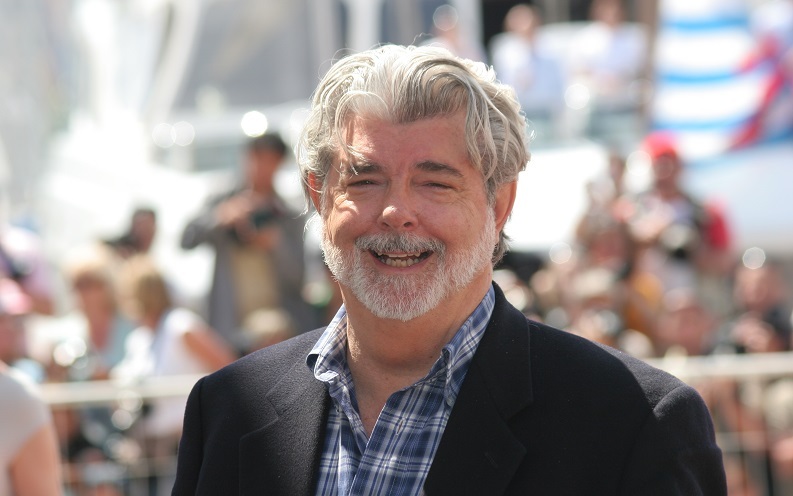 George Lucas graduated in 1967 as a film major with a Bachelor of Fine Arts from the University of Southern California School of Cinematic Arts, but before earning his four-year degree Lucas first attended Modesto Junior College, according to the CCCCO. The "Star Wars" creator put his education to good use and became one of Hollywood's most influential and lucrative figures in the science fiction genre, with a net worth estimated by Forbes at $5.2 billion. Eddie Murphy's quick rise to stardom left little time for collegiate studies. At 19 years old, the famous funnyman landed a spot as a featured player in the 1980 season of "Saturday Night Live" and became an audience favorite. Murphy still had a short-lived college career as a student at Nassau Community College in Garden City, N.Y., according to Business Insider. Today, Murphy's net worth is estimated at $85 million. Like Murphy, Billy Crystal is an alumnus of both SNL and Nassau Community College. Crystal originally attended Marshall University in W.Va. on a baseball scholarship but the program was placed on hiatus. Crystal switched to classes at Nassau before later graduating with a Bachelor of Fine Arts from New York University, reports Bio. Crystal is worth $45 million. As an actor, Burt Reynolds is best known for films like "Smokey and the Bandit" and "The Longest Yard." While he's had a decades-long Hollywood presence, Reynolds grew up in Florida where he attended Palm Beach State College, reports PalmBeachPost.com. Reynolds his studies playign football for Florida State University, but after an injury sidelined him, he took up classes on the community college before leaving to pursue acting. Burt Reynold's net worth is $5 million. With Halle Berry, a Hollywood A-lister and Oscar winner with an $80 million net worth, her star power was evident from the start. As a teen, the Ohio native participated in several pageants, which led up to Berry's spot as Miss Ohio competing in the 1986 Miss U.S.A. competition, according to Bio. But before setting her sights on an acting career, Berry briefly flirted with academia as a student at Cuyahoga Community College in Cleveland studying broadcast journalism, reports Business Insider. Despite a less-than-stellar high school record, Tom Hanks was able to get his start as a student at Chabot Community College in Hayward, Calif. Hanks later transferred to California State University in Sacramento to finish a four-year degree, but he still credited Chabot with much of his current success. "That place made me what I am today," he said in The New York Times. And today, Hanks is a multi-millionaire with a $350 million net worth and an Oscar winner with two Academy Awards for his roles in "Philadelphia" and "Forrest Gump." Schwarzenegger didn't utter his famous catchphrase, "I'll be back," after his stint at Santa Monica College in the 1970s, where he once took English lessons, according to Business Insider. The bodybuilder-turned-movie-star (and later, governor of California) made up for his lack of higher education when he earned a bachelor's degree in business and international economics from the University of Wisconsin-Superior in 1979. Arnold Schwarzenegger's net worth is estimated at $300 million today. Though Dean died at the height of his rising star, his estate still earns as much as $5 million a year according to Forbes, on the strength of the actor's perennial cultural status. The 1950s leading man also studied law for a brief time as a community college student at Santa Monica College, but made the switch from the courtroom to the stage upon transferring to the University of California, Los Angeles as a drama major, according to Business Insider. Neither academic venture lasted long, though, since Dean dropped out in 1951 to pursue acting full time. Motion picture innovator, animator, philanthropist and theme park legend: With a legacy that covers everything from "Steamboat Willie" to "Frozen," it's hard to believe that Walt Disney wasn't even a high school graduate. As a high school student, however, Disney took night classes at the Chicago Art Institute, according to Bio. As a pioneer of animation, however, Disney's remarkable vision could never be learned in any classroom. Walt Disney had a net worth of $5 billion. While jovial Texas billionaire H. Ross Perot, Jr. made his fortune by founding two companies, Electronic Data Systems and Perot Systems, he became a household name during his first unsuccessful Presidential bid in 1992 when he shook up the race between George H.W. Bush and Bill Clinton. But few people may know that Perot was also a former community college student. Business Insider reports that before joining the U.S. Navy and graduating from the U.S. Naval Academy, Perot attended Texarkana Junior College. Today, Forbes puts Perot's net worth at $3.7 billion. As a rapper, artist, actress and TV show host, Queen Latifah has found success in many areas of arts and entertainment and earned a net worth of $60 million. So it might come as surprise to some fans that she was already semi-famous before starting community college, according to Business Insider. Beat-boxing for Flavor Unit in the late 1980s, Latifah's group had already moved 40,000 units of their first pair of singles when she enrolled at Borough of Manhattan Community College. Baseball Hall of Fame member Nolan Ryan took "The Ryan Express" straight from community college to the big leagues. While many college athletes must work their way through undergrad and into the minors before getting a slim chance of playing in the majors, Ryan was an exception and attended community college before being drafted onto his first team, the New York Mets, reports Business Insider. With a career spanning 27 seasons, and a career ERA of only 3.19, Ryan pitched with the Mets, California Angels (the Los Angeles Angels of Anaheim today), Houston Astros and Texas Rangers before being inducted into the Hall of Fame in 1999. Nolan Ryan's net worth is currently estimated to be $60 million. John Walsh is known to millions of viewers as the longtime host of "America's Most Wanted" and TV's most famous crime stopper. Currently, he hosts "The Hunt with John Walsh" on CNN. A New York native, Walsh attended Cayuga Community College and later transferred to and graduated from the University of Buffalo, reports Business Insider. John Walsh's net worth stands at $20 million. Can the mark of a successful entrepreneur be making the dean's list at community college? For Archibald, former chairman of power tool maker Stanley Black & Decker Corporation, it might have been. In 1966, Archibald graduated with honors from Dixie Junior College in Utah, and that academic performance translated into high marks later earning a Bachelor of Science from Weber State University and an MBA from Harvard University, according to Business Insider. It's unclear what Nolan Archibald's net worth is, but he is still raking in big money from his work heading Stanley Black & Decker, getting a $52.5 million compensation in 2013, reports Bloomberg. With a successful comedy and acting career to match that of his deceased brother John, Jim Belushi went to the College of DuPage and the brothers are among the community college's most famous alumni. John and Jim were recently honored by DuPage when it renamed its theater stage Belushi Performance Hall after the pair of performers. Jim Belushi's net worth is $25 million.